Because of the illegal nature of her work, Jane wears a ski mask to protect her identity. She is holding a menstrual extraction kit, which she makes using commonly found supplies. Abortion. It’s a topic few like to talk about, but one everyone has an opinion about. And when people do talk about it, merely sharing opinions can lead to heated debates. There is only one clinic in Northern Nevada, and this clinic has persistent protesters holding large, graphic signs out front whenever it’s open. Planned Parenthood in Reno does not provide abortions, so anyone looking for this service is required to go to the clinic. For those who won’t or can’t get there, or afford to go to the sole provider in town, there is another, very much illegal and underground option. She goes by the name “Jane.” Jane performs underground, holistic and pill-based abortions. She has been providing abortions in Northern California and Northern Nevada for about four years. The work she does is illegal. In fact, it’s a felony in the state of Nevada. We agreed not to publish recognizable photos of her and have distorted her voice. Editor's Note: This story contains graphic subject matter. Additionally, we understand this is a controversial topic, which is why we reached out to Melissa Clement with Nevada Right to Life for her organization's response. 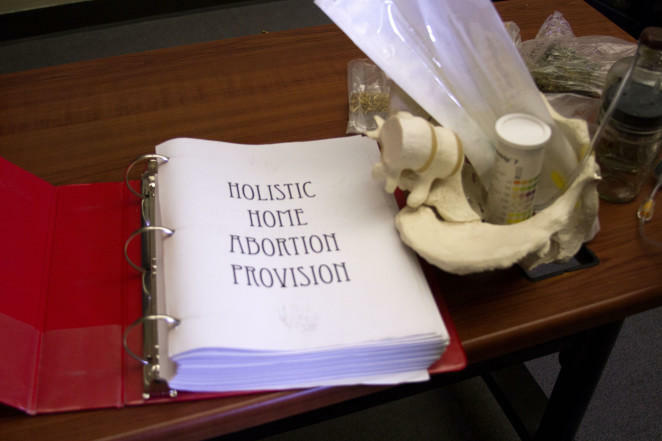 She provided this prepared statement: "This story is horrific; however, I'm a little shocked that anyone in favor of abortion would have a problem with this unarguably unsafe practice just because it's illegal or underground. Nevada Right to Life opposes all abortion, whether legal or illegal, because it takes the life of an innocent unborn child. Dehumanizing terminology like 'product of conception' does not conceal abortion for what it is: a flagrant human rights violation." 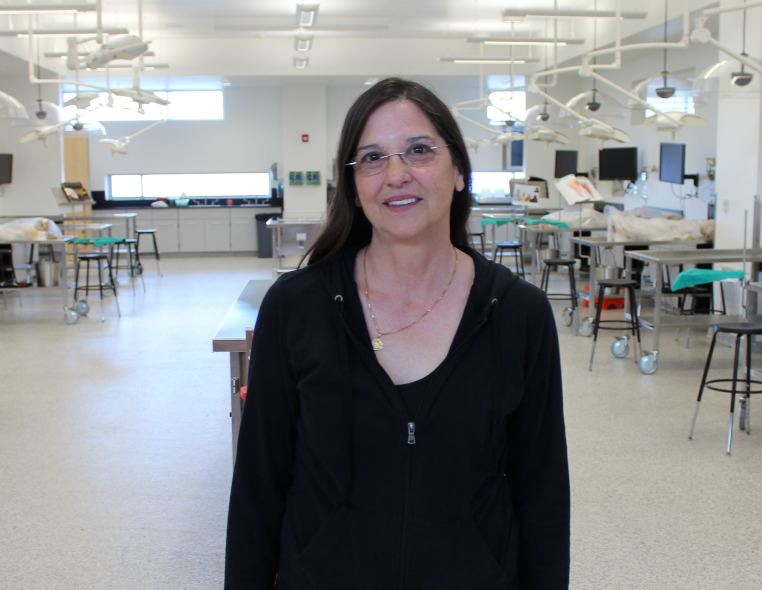 Jane began performing abortions after her own negative experience at the local clinic. “I became pregnant after already having a live birth. I knew that I could barely take care of myself and my child,” Jane told us when we met recently in a secret location. Jane sought out and ended up meeting others who had secretly been providing people with at-home abortions and began to train under them. She charges very little and often times provides the service for free. “When I do charge, it’s based on a sliding scale. I wouldn’t charge anybody more than $400, which is about half the cost of an abortion anywhere else,” she says. The West End Women’s Medical Group—the only legal abortion provider in Northern Nevada — charges a minimum of $700. According to the clinic, the price may go up to as much as $2,100, depending on how far along the pregnancy is. The clinic accepts only cash payment: No checks, no money orders, no credit cards. Full payment must be made in cash prior to receiving the services. According to the clinic’s website, this is the only medical office in Reno certified by the National Abortion Federation. According to the Guttmacher Institute, 49 percent of U.S. abortion patients in 2014 had incomes below the federal poverty level. Jane recognizes how expensive abortions can be. That’s why she sometimes provides her services for free. The anonymous abortion provider meets her clients through mutual friends who know what she does. Word of mouth and trusted communication lead people to Jane. Her methods are varied. 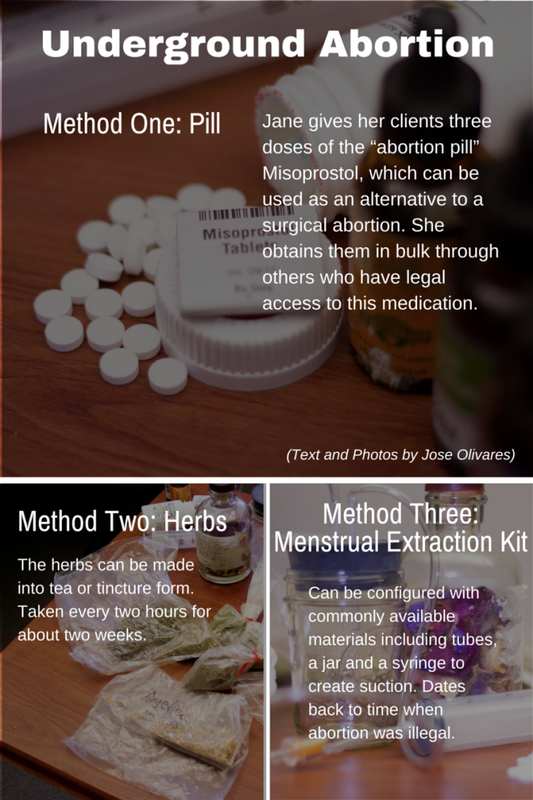 She provides herbal abortions, which take the longest—up to two weeks. The patient will take a mixture of different herbs every two hours, in either a tea or in tincture form. She also provides the “abortion pill” Misoprostol, which is her most common method. She dispenses three doses of four pills. The pill stimulates contractions. The other method involves a device made from tubes, a jar and a syringe for suction called a menstrual extraction kit. Jane gets the Misoprostol in bulk from others who have access to the drugs. When it comes to safety, Jane insists the equipment she uses is similar to the equipment used in legal clinics. She also says she provides post-abortion care. Jane is aware of the risks revolving around the work she does. Current Nevada law states only physicians can perform abortions. 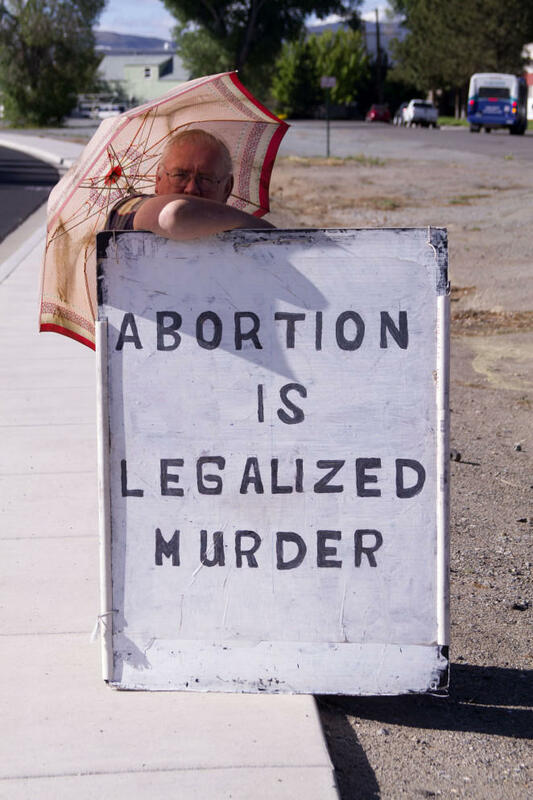 Illegal abortions are classified as Class B Felonies. In other words, abortion performed by a non-physician will be punished in the same manner as voluntary manslaughter. Although remaining anonymous, Jane hopes to continue to add her voice to the national narrative around abortion. She is aware of the increasingly restrictive legislation being passed and the continuous closing of clinics around the country. 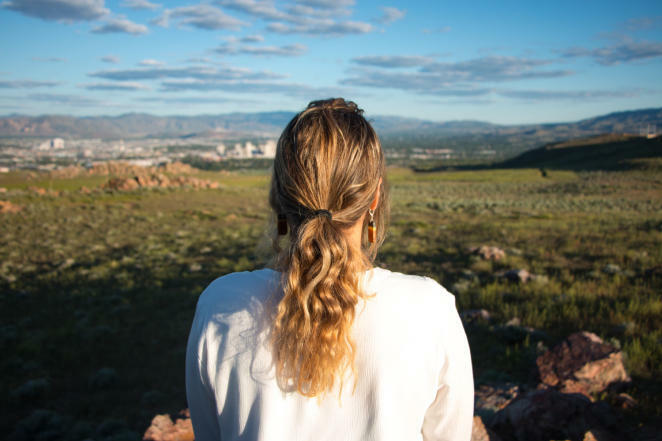 This story comes to us from the NPR Next Generation Radio Boot Camp held in Reno this summer. You can view the full project and other stories here. Sound healer Cheryl Lynn Bowers prepared for a healing ceremony in the Ashtanga Yoga Studio in Reno, Nevada’s Midtown District. It was dusk, and the air in the studio was warm as Bowers unloaded a small beige suitcase full of percussion instruments, tuning forks, rain sticks and artifacts to place on an altar for an offering. 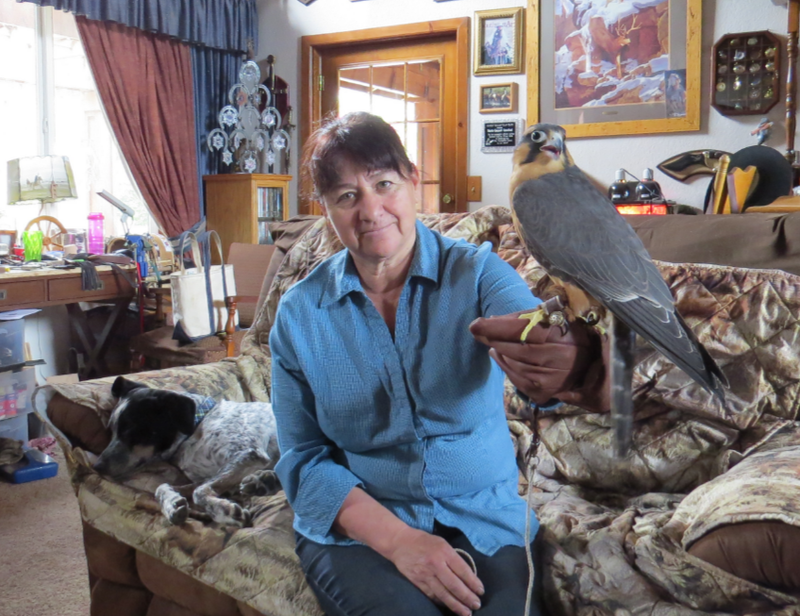 The Witt family has been farming in Northern Nevada since 1870. For over a hundred years they ran the Milky Way Dairy farm in Minden, Nevada. Spurred by rising corn prices in the 1980s Craig Witt started looking into methods of growing his own feed. His biggest obstacle was the sandy Nevada soil. 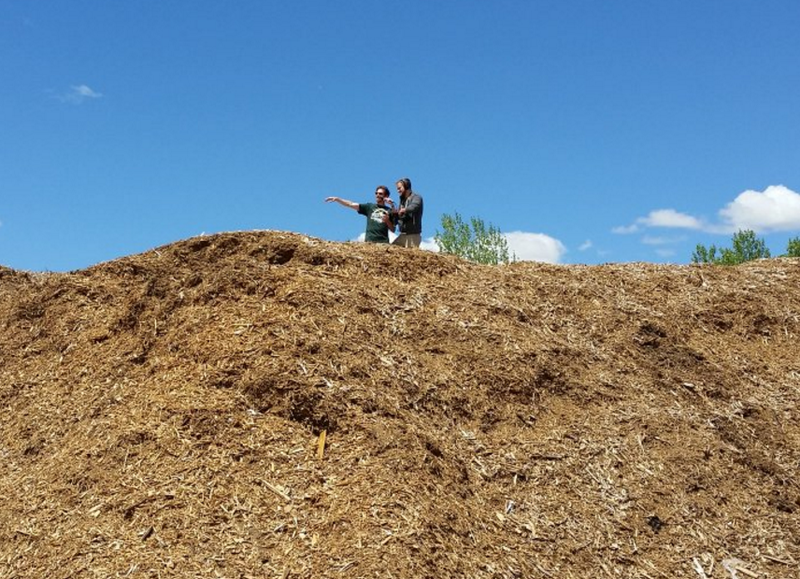 So Craig enrolled at the University of Nevada, Reno, got a degree in agriculture and started making his own compost.